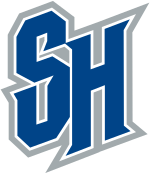 Seton Hall's first season of basketball occurred in 1903–04, but the school did not field a team again until 1908–09, the year in which the university achieved their first winning season. The school adopted the Pirate mascot in 1931, and the teams soon gained national prominence with the arrival of John "Honey" Russell in 1936. During an 18-year span, the Pirates racked up a 295–129 record that included an undefeated 19–0 record in 1939–40 as part of a 41-game unbeaten streak. Walsh Gymnasium was opened in 1941 to permanently house the basketball team and featured one of the best Seton Hall teams of all time, termed the "Wonder Five", which led by All-American Bob Davies, earned the school's first NIT bid in 1941. Following World War II, the Pirates were led by stars Frank Saul and Bobby Wanzer and regularly played games at Madison Square Garden. The peak of this era occurred in 1953 when Richie Regan and Walter Dukes defeated rival St. John's University for the NIT title. Perhaps the low point for the team occurred in 1961 when a point shaving scandal sullied the program, but the Pirates rebounded to return to the NIT in 1974 under coach Bill Raftery. Seton Hall became a charter member of the Big East Conference in 1979. The high point of the Big East era for Seton Hall came when P. J. Carlesimo was hired in 1982 and the team began playing in the Meadowlands Arena. By 1988, Carlesimo led the Pirates to the school's first NCAA tournament appearance, and in 1989, he led the Hall to an unexpected tournament run to the NCAA Championship game, where they were defeated by Michigan in overtime. Success under Carlesimo continued with a Big East Tournament Championship and an Elite Eight appearance in 1991, a regular season Big East Championship and Sweet Sixteen appearance in 1992, and Big East Regular Season and Big East Tournament Championships in 1993. Carlesimo left to coach in the NBA following the 1993–94 season, but Seton Hall returned to the Sweet Sixteen in 2000 guided by coach Tommy Amaker, and appeared in the NCAA tournament in 2004 and 2006 coached by Louis Orr. In 2006–07, Bobby Gonzalez was hired to lead the Pirates, which moved its home games into the Prudential Center in 2007. Gonzalez amassed a 66–59 record at Seton Hall but was fired at the conclusion of the 2009–10 after a first-round NIT loss to Texas Tech. Concerns were raised in-house about the direction Gonzalez was taking the program, punctuated by several incidents, some involving Gonzalez and others involving student athletes. Shortly after his dismissal Gonzalez was arrested for shoplifting. Seton Hall hired current coach Kevin Willard for the 2010–11 season. After struggling to maintain a .500 record through his first five seasons with the program, Willard's Pirates finally broke through in the 2015-16 season, as they won the Big East Tournament Championship over the eventual national champion Villanova Wildcats. With the win, Seton Hall secured the school's first NCAA Tournament appearance since 2006 and the first Big East Tournament Championship since 1993. However, the magic could not continue in the NCAA Tournament, as the team was defeated by the 11th-seeded Gonzaga Bulldogs in the First Round. In 2017, the Pirates were again eliminated in the First Round of the NCAA Tournament by the Arkansas Razorbacks, but the Pirates would win their first tournament game in fourteen years upon defeating the NC State Wolfpack in 2018's First Round before being defeated by the Kansas Jayhawks in the Second Round. Following the graduation of starting seniors Khadeen Carrington, Ángel Delgado, Desi Rodriguez, and Ismael Sanogo, the Pirates would appear in their fourth consecutive NCAA Tournament for the second time in program history, led by the play of standout junior guard Myles Powell, where they would fall to the Wofford Terriers in a First Round game in which Fletcher Magee would break Division I's all-time three-point scoring record. * The Pirates were charter members of the Big East Conference as it originally existed from 1979 until 2013, when the conference's seven non-FBS institutions colloquially known as the "Catholic Seven" formed a non-football conference which retained the Big East name, while the remaining schools formed the American Athletic Conference which is the original Big East's legal successor. As a result of this split, the modern Big East and American Conferences both claim 1979 as their founding dates and retain all records and history. The Pirates have appeared in the NCAA Tournament thirteen times. Their combined record is 16–13. The Pirates have appeared in the National Invitation Tournament (NIT) 17 times. Their combined record is 8–18. They were NIT Champions in 1953. Seton Hall home game at the Prudential Center in Newark, New Jersey. ^ "Facilities". Seton Hall University Athletics. Retrieved 17 March 2018. ^ Seton Hall University Graphic Standards Manual (PDF). Retrieved April 11, 2016. ^ 2008–09 Big East Media Guide: The Record Book: The Big East in Postseason Play (All-Time) (PDF). 2008. p. 149. Archived from the original (PDF) on 2009-02-04. Retrieved 2009-03-03. ^ "Former Seton Hall coach arrested for shoplifting". ESPN.com. 6 July 2010. ^ "Seton Hall announces Willard as its next coach". ESPN.com. 29 March 2010. ^ "Seton Hall Pirates Index - College Basketball at Sports-Reference.com". College Basketball at Sports-Reference.com. ^ a b Prunty, Brendan. "Seton Hall's Fuquan Edwin named Big East Defensive Player of the Year". Retrieved 20 March 2014.